Calling out Bakmie Lovers!! 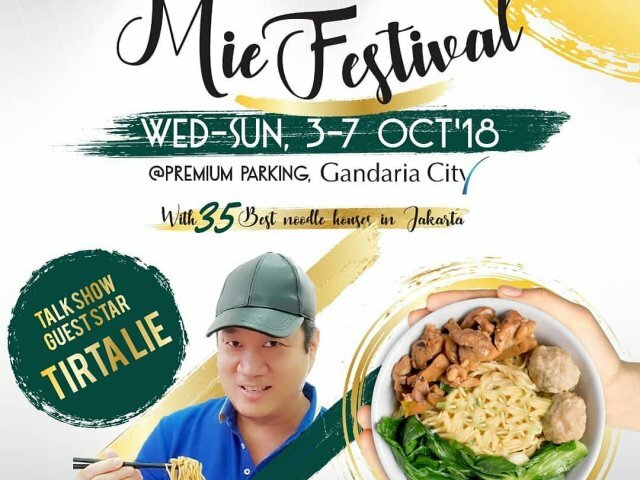 @GandariaCity presents the Most Awaited MIE FESTIVAL 03 – 07 OCTOBER 2018 with more than 35 noodle houses !! Mark the dates and see you bakmi lovers !! Enjoy your Bakmi and Culinary Experiences at #GandariaCityMieFestival @ Premium Parking Gandaria City!! -Mie Eating Competition and get a Chance to Win IDR 1,500,000!